DIA has the gods up in heaven and obedient foot soldiers or shoulders on Earth and in between mother-less children are crashed under the unbearable weight of intellectual expediency. This is the grim and horrifying reality on the ground for Eritrea. Young Eritreans are fleeing their country in droves, the economy appears to be in a death spiral, but Eritrea’s prisons are over flowing, and the country’s unhinged monster leader remains cruel and defiant. The evil gedli generation’s illusion of heroism is becoming an endless curse, and its search for real and imagined enemy has come to be a liability to the new generation of Eritrea. Ghedli is a rotten system created by the dumb, corrupted and backward so-called tegadelti and which is the main cause of the misery that befall on the Eritrean people. Aster, with all due respect,Ghedli was not a system,it was a vehicle that the Eritrean people used as a tool to achieve their aspirations and they paid dearly for that,it is noble,sacred,and that vehicle was fueled by the blood of our brothers and sisters,unfortunately a handful of parasitic,rotten individuals put themselves on the drivers seat and stirred the vehicle to their own chosen destination-oblivion.Lets put things into proper perspective,otherwise we will lose sight what we are trying to achieve. Rember, Ghedli was not kindled by the tyrant and his henchmen,and it will not be defined by him,and it will not end by him.Ghedli belongs to the Eritrean people,it is a journey,and the people will stir it to its proper destination sooner or later.It is just taking awfully long and consuming precious lives because of our posture.Forgive me if I am wrong. K.Tewolde, with the utmost respect and love please also forgive me if I am wrong too in advance! Let’s have the navigator’s principle in your own “Ghedli’s vehicle” when it comes to Eritrea and regarding how much of its past should shape its future. As you all know the navigator starts from where you are to where you want to go. If you deviated a bit or big time, the navigator is not interested in nagging you “why did you do that?” or sorts. It says : “recalculating” and starts showing the way (not from the past) but exactly from where you are. Glorifying and romanticizing the evil ghedli with all its lies and excesses would never help bring a peaceful and business-minded Eritrea. A measured amount of de-romanticizing without much dwelling might help in not repeating some of the big and awful mistakes. Even removing DIA/and his regime is just a small step towards the huge endeavor or challenge to follow on removing poverty and backwardness from the face of Eritrea. All the list you gave as a positive contribution of the evil gedli are not an end by themselves. You don’t launch an armed struggle because you want to construct your own identity. You may do so IF you are denied the freedom to preserve your identity.But the historical justification for the armed struggle keeps on changing its central mark from that of fighting injustice to the scary stretch of “we don’t stop to run away from Ethiopia”. That kind of mind-set of physical drifting makes it scary for many of us. Now, over to you my dear (brother or sister?) k.tewolde. NO. we are trying to run away from the Tigray origin killer DIA.. what about that!! Sister Aster, so far you doing just great and keep it up my sister. Some people sadly can’t swallow the truth and the reality on the ground. 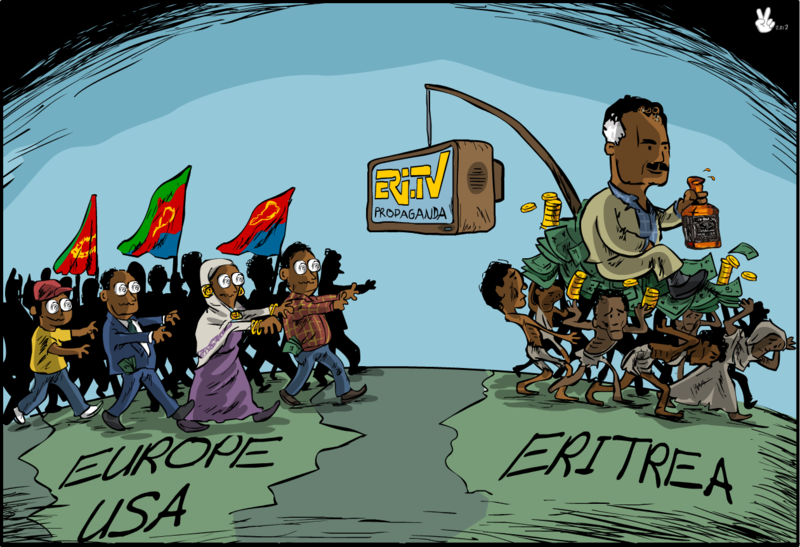 All Eritreans misery is a result and as being caused by vanity, bravado, vindictivness, empty pride and fake identity. Just keep it up and keep exposing the many lies and propaganda. Aster writes,’you don’t launch an armed struggle because you want to construct your own identity….’ This statement is fishy,it has a unionist undertone.You don’t construct an identity,it is not a school project,I am who I am,an Eritrean,and the armed struggle was the continuation of the political journey that failed to reach its goal by peaceful means,and it belongs to the Eritrean people,and nobody else, no individual owns it.And who is drifting physically from who,dear Aster?Were we born as conjoined twins?Last but not least,I don’t and never attempted to romanticize Ghedli,because there is no romance in blood and gore,there is no romance when you trying to shove back the exposed contents into your comrade’s abdominal cavity in non sterile environment..
Aster you get it right. No more no less. May be Asterina is right for her mother land Tigray, But not for Eritrea and Eritreans. She just wants Tigray-Tigrinya, the dream of TPLF. I may add TPLF leader equals EPLF leaders. Let us hold accountable the EPLF and TPLF leaders for their crime against the Eritrean people. let us not make the Eritrean Ghedli scapegoat, while the real killers are left to kill in front of our eyes. No war, no peace killed out people. Destroyed our families. Yet, empowered our killer DIA. If we are Eritrean who are ready to build our country, let us focus on what is important for our people, not worry about others feeling. 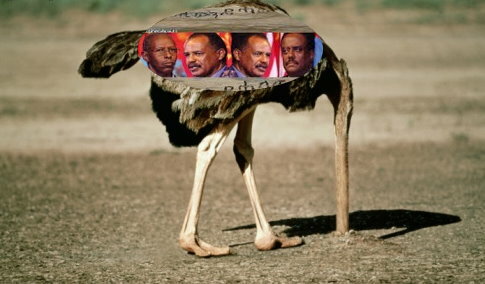 aster Eritrean enemy is DIA and few generals. There is no Eritrea with out Ghedie sucrify. aster don’t expose yourself. meg, you are a pathetic poor mug. You are still thinking of Eritrea as a prey on a chase. It is amazing how the tiny brains of some folks operate. 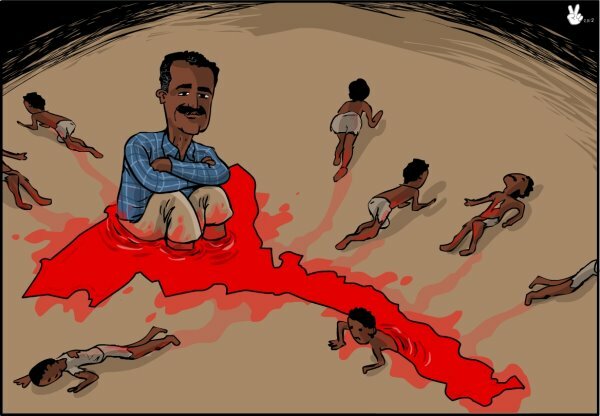 While they try to deny all the miseries being inflicted internally by their dumb and corrupted so-called tegadelti on innocent Eritrean civilians. And what do you mean by Ghedli sacrifice and don’t expose yourself? Same old jerk meg just showing off his/her sheer ignorance and arrogance. You have no shame to call people names, while making yourself righteous about the Eritrean experience. Your anger toward other commentators is a red flag. A red flag you are female version of the tired broken record of Mr Tclay, Yes, you are a hater of my beloved nation of Eritrea. You hate Ghedli not because it killed people, it is because Ghedli with all its flows and unpleasant past, actually delivered what the Eritrean people wanted that is independent Eritrea. Eritrea that is independent of Ethiopia or in your case, Due to Ghedil, Eritrea is completely separated from Tigray. That is where your anger is coming from. Come on and admitted. For once be straight and tell the truth. You don’t care about the bad history of Ghedli. I can spot crocodile tears from miles. Asterina, DIA was and is the killer sill alive, Come on now, if you are a real Eritrean with all your heart and regardless of your blood line, you know what I mean, you will be with the Eritrean people to make sure DIA and company brought to justice for their crime against the Eritrean people and nation. Asterina try to restrain yourself from name calling. Name calling is not going to change the nation of Eritrea to be part of Tigray, Until next time, cheers!!!! Come down. The suffering of our people is due to Tigray’s son the Killer DIA. Don’t worry,. he is going to be brought to justice, Yes you are exposing yourself by trying to make Ghedli scapegoat. No Eritrean will try to deflect the current hot issue in our history. It is high time for Eritreans to stand firm and hold their killers responsible. But if anyone try to change the topic at this time, It shouldn’t be any gray area., People like Aster have other priority. AND IT IS NOT ERITREA OR ERITREAN. First and foremost the monkey must be cut his head and teil as a 2nd to his crimninal master wedi Berad ! I can not explain my joy now that the criminals will be tried soon, a legal process that the victim Eritrean yearn of… Thank all oppenents of the criminal regime who have fought so diligently years long till they achieve the fruits what we see now. Tebit tkdma nwdket zblwo kemzi eyu. Iseyas is a total failure. His oversized ego has produced nothing but destroyed our values, economy, aspirations and population. Its time to go sir. You are a liability. Its high time Eseyas and his mahber ewala members learn no one is above the Law. They have caused unprecedented suffering and misery to our people. Time to face the music. She is just scared DIA will be gone and Eritrea will be for Eritrean. Aster, Tekhlay, Raki, save young Eritreans, the noble teacher anf many othet named is onr and the sat person. His only duty is defaming Eritrean Revolution for a well known reason. Same all same and old hatred toward Eritreans and the nation of Eritrea. Coming from TOL, but pretending to be Eritrean. let me tell you something you don’t know or you don’t want to know. Eritreans are the expert of survival. There something disturbing about people like you. At this time of the Eritrean experience, instead of supporting the struggle to hold the criminals accountable, your kind of people are indulging in trashing the Eritrean people. Eritreans are not vindictive and they never been vindictive. But about the future .I am not so sure. We will be none forgiven and it will be the right thing. As they say, you fool me once, shame on you, you fool me twice, sham on me. You people are the master of DOUBLE-DEALING. You said, “empty pride, fake identity and bravado” to address the most hard working and generous people of Eritrea. Let me tell you about who has the real fake identity. Yes that is YOU and your kinds. You poor in materials and grace, low social status from south of the border are not fit to speak about empty pride. You are just a peasant. That is why you have no class or heart. What do you have to say now? Guinean Eritreans,watch out for those Andnet who are coming on the name of opposition like Aster they Goal is to KILL our patriotism..